July 25 is Guanacaste Day in Costa Rica. This holiday celebrates the day, when the province of Guanacaste was annexed by Costa Rica from Nicaragua. Till 1824 Guanacaste was the territory of Nicaragua. It was conquered by Spain in the 16th century and gained independence only in 1821. Prior and after proclamation of independence Nicaragua faced a long period of political unrest, dictatorship and fiscal crisis. In 1824 administration of Guanacaste asked Costa Rica to be annexed by the state. Annexation of Guanacaste was approved by the Central American Federation and its territory officially became the province of Costa Rica. Nowadays the day of annexation is celebrated as Guanacaste Day. 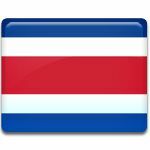 Guanacastans are proud to be a part of Costa Rica. They claim, that it was their choice to become the part of this country. Guanacastans celebrate Guanacaste Day under the motto “De la Patria por Nuestro Voluntad”, that in Spanish means “Part of the country by our own choice”.